Physical Description Description: Dark blond, green eyes, fair skin, slender build. General Overview Jennifer is a bit of a rebel. She thinks certain rules are either meant to be broken or only there to block ones potential. Also since she was a teenager she tried to stick up for others, and wasn't shy to break some rules if needed. Also she is a truth seeker, she looks for facts and information. She also likes order and tidiness. When you get to know her, she is an overall nice girl who isn't shy to speak her mind. Strengths & Weaknesses Strenghts: Jennifer isn't easily put down. She has a thing with puzzles and codes, she has no problem with cracking and hacking systems. She likes to crack them, even for fun. Weaknesses: Jennifer has a bit of a problem with rules and authority, cause she likes to do what she wants to do. She likes to know everything, but that can often bring her in to a lot of problems sometimes. She can be a little too confident. Hobbies & Interests Jen loves to make puzzles. Hacking computers. Personal History Jennifer grew up in a small town. She has a twin sister that the total opposite of her. When she was 12 her brother Killian was born. Apparently her brother had some long term medical problems when he was born, so Jennifer hardly saw her parents. She was mainly raised by her aunt. The relationship with her aunt wasn't exactly very good. Her aunt liked to keep things from her. She swore she would not let that put her down. When she turned 18 her aunt signed her up for the academy. In the beginning she went trough it good. From a young age she always liked puzzles. When she joined the academy, that passion never left her. What she never liked in the academy was the strict rules and regime. The secrecy in starfleet was a big concern to Jennifer as well. During her time at the academy she joined the academy news agency as a reporter. She used her reporter privileges to find information for her news articles. What ever she couldn't get her hands on she hacked in to. When she was caught doing that she was expelled. Yet star fleet never really released her. 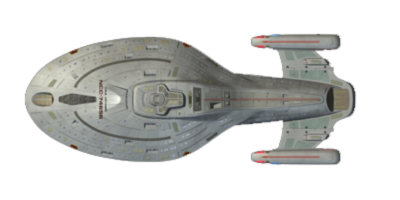 She was assigned to the USS Beowulf to support the Intelligence department to help gather intelligence for starfleet. In that time, Jennifer learned a lot and got better at hacking computers. Her superiors caught her several times hacking classified starfleet. After several reprimands she began to rebel against her superiors, she became uncontrollable. She was often late, slept in after a night of parties. Spoken out her mind to her superiors. She was transferred back to command. Then she went from one transfer to another. When Starfleet finally though to throw in the towel with her, something happened to change her. She received news her parents were killed a malfunction in a shuttle. When she heard her brother was being send in to custody with her aunt, she requested a sabbatical from starfleet. She took her aunt to civil caught and won custody over her brother. She had her brother hospitalized in a care center for children with special needs. She would visit him there often. In that time she offered her hacking and code crack services to starfleet now and then as a civilian contractor. When her brother turned 18 he was released from the hospital. He moved in to his own house on earth and told his sister she should go back full time to starfleet and do what she liked most. He would be fine if she kept in touch now and then.